Art has different forms and each of the form has its own charm that appeals an eye, even an ugly thing is made beautiful by the hands of an artist, he is God gifted, his talents are intertwined in his bones and can’t be suspended for a long time, it needs an outlet to create what it feels. A graphic designer has to come across various tasks each day, I myself need new and innovative ideas for every single task I am supposed to partake, at times it becomes hard to implement what brain thinks. A graphic designer first seeks the refuge of a notion—an idea that lies in his mind about a certain project, he then tries to shape it in the original raw form, for this he takes it out of the bars of his mind on a paper. He conceptualizes his idea to transform it later in a tangible form. There is a chain of sequences tossing in the arteries of his mind and he carries out these impulses on the paper through sketching, which is the best possible way to come out with flying colors. Mental picture gives vent to the idea– a practical form, and then the designer furthermore goes with the processes of software to give it a final visual design outlook. He then molds it, changes it and enhances it according to the way he sketched it on the paper. You cannot build Rome in a day, likewise just holding onto a pencil and start drawing would not make you a good sketcher, it takes time to get a total command on it. Grab a sketching book and draw the objects near you at first, in the beginning it would take hours but with the passage of time your imagination would start developing and you would be able to make a better sketch less than an hour with fewer flaws, good sketchers were once beginners, no matter how shabby the sketch appears in the beginning it would become picture perfect tomorrow, who knows? Remember for the graphic designers, sketching is a bonus, drawing an idea out on the paper remains on the paper as perceived and then the designer can do certain require alterations about it on the software subsequently. Sketching works like a magic wand, when it comes to begin a new project. It makes the work of a graphic designer way more easy like a piece of cake. It will at first take a bit of your time but eventually you won’t end up fatigued sitting before computer’s screen “what to make & what not to make”. Sketching is mostly used by the graphic designers before the graphical implementation. It is quite common in the professionals and beginners too. 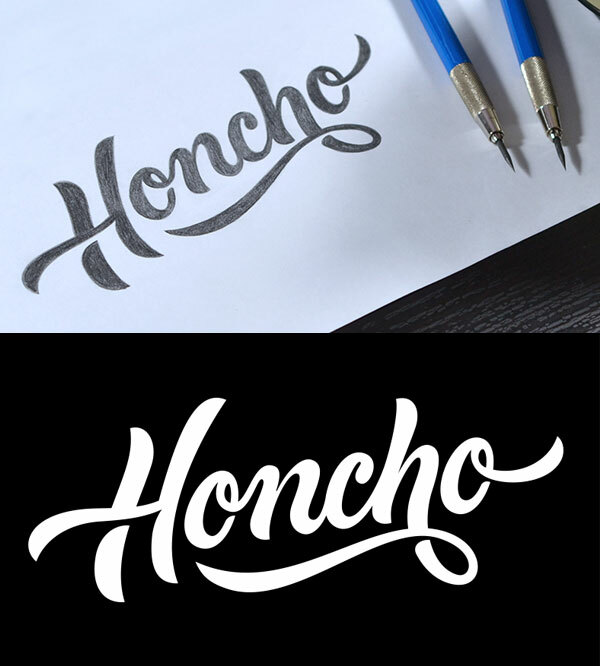 Today I am unleashing before you some beautiful examples that how can good sketching skills make great logos. The tinniest thing is emphatically drawn to help oneself creating the logo design on computer screen later on. This is a great inspiration to start sketching for your own upcoming tasks regarding logo designs. Have a look!